Just like a quick moment passed but it has been already over ten years now that we have put our work on this social projects. It has been quite a period of time that our initial alumnus have left the school and village for better education and experiences. Over the course, you may have learned different success stories from our volunteers and the students. We experienced the hardness of building up the team capability to handle the teaching. The better ones were leaving us for better life, after they gained better knowledge for themselves. However, the challenges we have faced were for good purposes as those are the objective of our school to build the youth capacity and reintegrate them somewhere through our programs or by their owns. What is even prouder for all the dedication we have put together, as on the ground of Angkor Kids Center, and as for the International supporters and donors like Helpucation e.V. 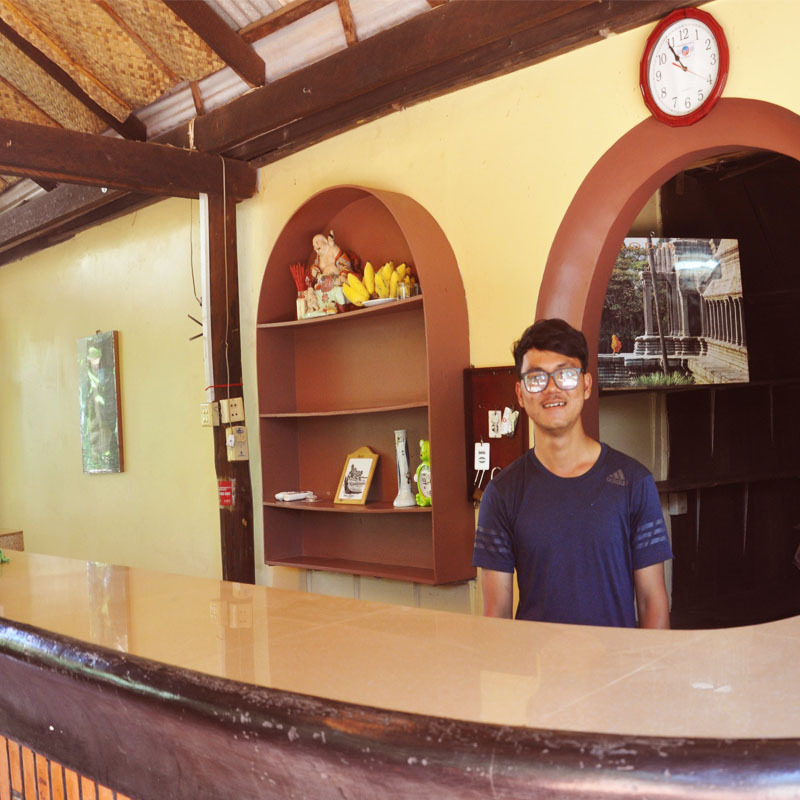 “Every door I enter, either hotels, resorts, restaurants, airports, airlines, airplanes, tour agency, Destination Management Company, attractions, special venues or even a garden, I always get surprised by respected greetings” Said Samnang, the Founding Director. These unexpected voices and gestures are from the former AKC students and Volunteers who left the school for better skills, education and jobs. Therefore this has witnessed the success and other investment put on recruiting new local volunteers, train them and let them leave for better and a great solution for the moment that we can not keep them with us due to the ongoing REINTEGRATION APPROACH. Sticking to the natural cause as the base of our practice, “Do Good, Get Good”. In the fair way of treating our people around, we are so privileged to have Meam bringing this most advanced class back targeting to the current AKC volunteers and young adults. “Serving the social services is my favorite hobby, helping children in rural area is my goal”, Mean quoted. Not different from other children and members of Angkor Kids Center. Meam was born and grown in Somrong village. 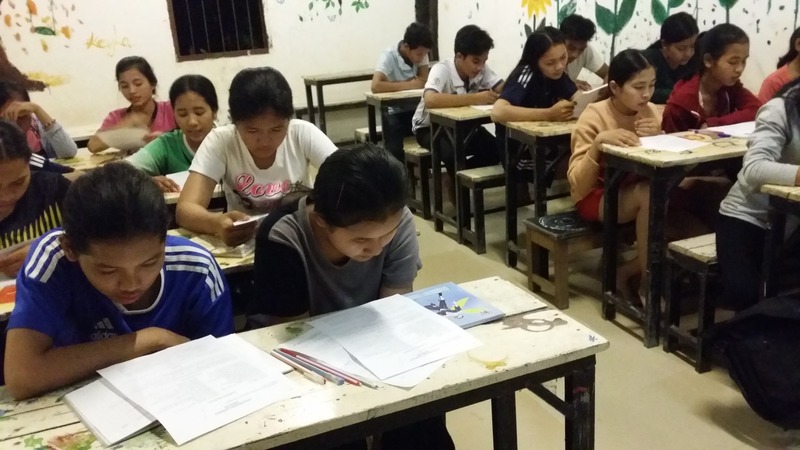 He took advantage by learning and teaching English and other skills at Angkor Kids Center. 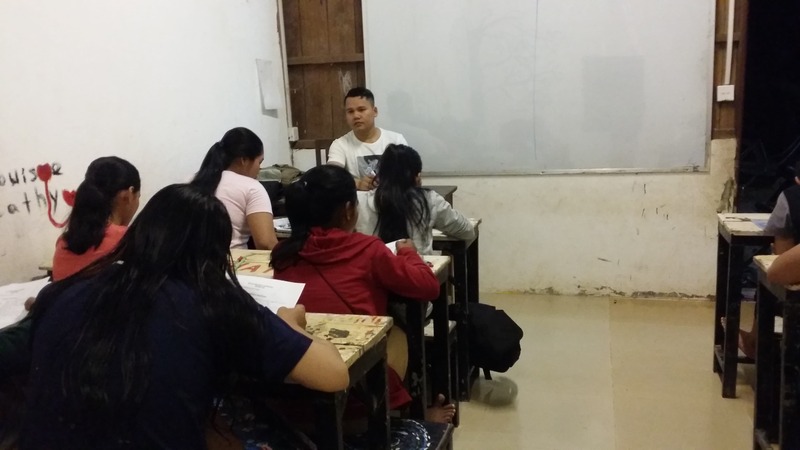 In favor of education, he uses his scholarship grant from an AKC partner, One Step One Life, to transform his EFL teaching skill to the professional level by spending a five years++ at the University in Siem Reap. Meam is a multi-instrumented artists, he love to entertain your stay better and share with you the arts of education and music from the Khmer culture corners. Meam came back to AKC at the weekend and share his English skills to the youth and volunteers who are currently serving AKC. Let’s play with Meam or going with him to his class. Thanks for your reading with great interest, share our loves to all your lovely people, share our news. There are more news to come stay connected. Happy Festive Seasons! Love from all AKC team, Kids and Family!